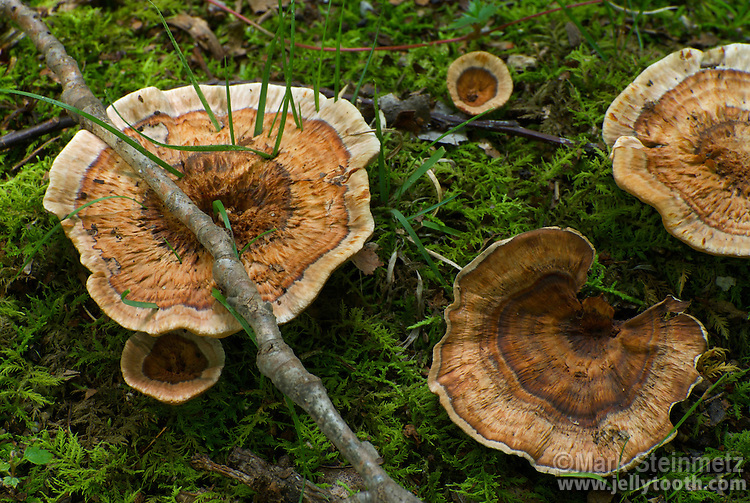 Fairy Stools, or Brown Funnel Polypore (Coltricia perennis). Caps of this species are often found fused together. Monongahela National Forest, WV, USA.